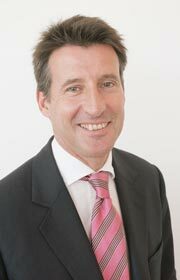 Lord Coe has agreed to answer questions on these issues, or any other issue related to the impact of the Olympics on Wandsworth. Residents can send in their questions to the council and as many as possible will be put to the Olympic boss. The answers will be published in the February edition of BrightSide. Next summer's London Olympic and Paralympic Games will have a major impact locally. The borough will host two Olympic events - the women's and men's cycle road races. Like this year's London-Surrey Cycle Classic, cyclists will pass through Putney twice, but this time the two events will take place over a whole weekend. Thousands of people are expected to view the event and the council is planning entertainment to keep encourage spectators to stay in Putney and visit the town's pubs, restaurants and shops. There will be significant disruption to roads in the area, with Putney Bridge , Putney High Street, parts of the Upper Richmond Road and Priory Lane likely to be shut for some time. Further details and links about which roads will be affected, how and when will be given in the new year at www.wandsworth.gov.uk/olympics. The Olympic tennis event will be held at the All England Club in Wimbledon , and Southfields residents living near the venue are being informed by games organisers about how this will affect them. A formal consultation on parking restrictions near the venue will start later this month. A map of the local access and parking plan and associated documents can be viewed by visiting this link. Some roads and sections of the public transport network are also likely to put under strain at certain times during the games. Latest detailed, day-by-day road and Tube 'hotspot' information and travel advice is now available at www.tfl.gov.uk/2012. The Olympic Torch relay will pass through Wandsworth, and the borough has been chosen to host one of the spectacular torch relay evening events.